Remodeling your home is an exciting experience for any Ohio family that will transform the home you have, into the home that your family wants or needs. Don’t be so hasty though, remodeling isn’t really that straight forward and easy! You’ve probably heard some of the remodeling horror stories from friends, family and co-workers but it’s also never easy to learn the truth in these situations and what events really led up to the negative experience. 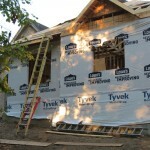 What you can do as a homeowner though, is learn what not to do when you’re remodeling your own home because mistakes with construction can be very costly, either immediately or much further down the road when an unexpected repair is needed. Here are 6 different home remodeling mistakes that we really don’t want to see you make if you’re remodeling your Ohio home. As a contractor this is something we experience all the time. Many homeowners are not really aware of the costs for projects like these unless they’ve done it before. To a first time home buyer who’s never remodeled a home before the price of what they want to do can be a sticker shock. 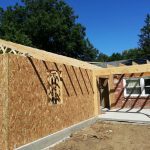 If the scope of work you want to complete is outside your immediate budget range, it’s not uncommon for homeowners to build large projects in “phases” over a longer period of time. Maybe you start with a specific room like a bathroom, move to the kitchen, then tackle that large basement space further down the road. Your entire project doesn’t need to be completed at once. Talk to your contractor about “phasing” your project and how they would recommend you do it to maximize your return. On the other side of the coin it’s important to remember that “phased” projects often don’t ever get finished, not at the fault of the contractor but the homeowners circumstances might change and the projects is no longer feasible. Just something to think about. Many homeowners make the mistake of wanting to get their home remodeled in a hurry and remodeling + hurry = WORRY! This is almost always a recipe for disaster. When it comes to construction and remodeling “fast” usually means cheaply built and less care will be taken and inferior materials are going to be used. A good contractor will almost always be booked up well in advance, sometimes 4-8 weeks or even more. This is a good sign, because it means their work is good enough to be in demand. While it might take several weeks to get to your project, your contractor can usually get started on your estimate right away and can help you work within your budget on material choices and if you decide to move forward, can book you into their schedule. There are certain aspects of a home remodel that buyers love to see and feel such as new granite countertops, new hardwood flooring or even new siding or a beautiful new architectural shingle roof. Then there are the remodeling upgrades that they can’t see such as upgraded plumbing and wiring. The latter is not something you can expect a buyer to want to pay more for and they probably won’t because it’s not visual, and they usually don’t care. Most home buyers are only interested in the visual improvements they can see contributing to a higher value of the home and won’t want to pay more for upgrades they consider “essential” for any home such as proper plumbing, wiring or insulation for example. Wouldn’t you? If you’re going to live out the rest of your days in your home, then it might not matter so much but if you intend to sell your home within months or years after your remodel it’s important to make sure whatever changes/improvements you make to the home will also be appealing to others. While you might think that an 80’s decorating scheme is the way to go, someone looking to buy a nice, modern home in your neighborhood might not. If resale value of your home is important to you then try and choose home improvements that will be more appealing to a general crowd and stay on with current remodeling trends. There are many contractors willing to do work on your home without a permit. Don’t do it! They probably don’t have insurance or a license either! We can probably all agree that filing all the proper paperwork and cutting the red tape can be a pain in the rear but it’s absolutely necessary if doing things the right way is important to you. If your remodeling project is being completed without any proper permits unless you know a lot about construction you won’t have any idea what is being done to your home. Getting caught doing large scale remodeling to your home without proper permits in place can lead to a stoppage of work and also very steep fines for you and your contractor. It’s just not worth it. Ohio Home Doctor is a full service general contractor based out of Springboro, OH and serving all of the Miami Valley. 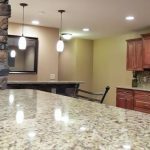 We specialize in all aspects of home construction and remodeling from building a new shop or garage on your property to remodeling your kitchen or building out that home addition, we can even install a new roof if that’s what you’re looking for. 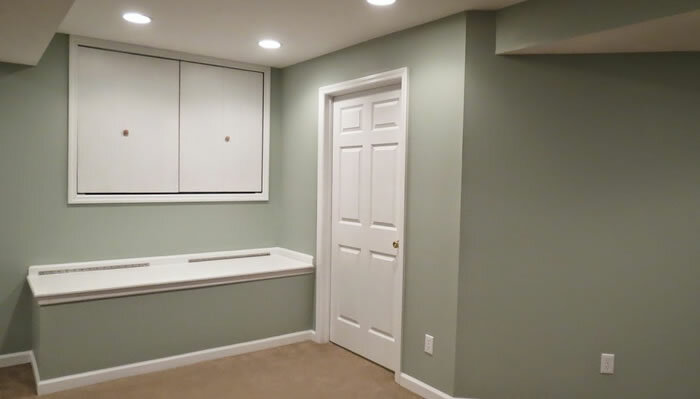 Like many of the great contractors in our area we’re always booked in advance for our projects so if you’d like to receive an estimate for your upcoming home remodeling project please give us a call 937-605-6882 or fill out our contact form and someone will be getting right back to you.